Jupiter is important planet for marriage. However, happiness decreases if it is weak. One gets two marriages if there is impact of Shani-Rahu or Mars on marriage. This happens if one cannot match horoscope properly. In this case, husband-wife should worship lord Shiva regularly. Donate white stuff on every Monday. Keep white flowers in bed room. You can also keep white flowers painting. Rahu is responsible for extra marital affairs. Rahu creates dissatisfaction in life. In this case, person attracts towards someone. Venus impacts one’s character. In this case, regularly chant Madhurasthak. Light mustard oil lamp under peeple tree on Saturday. Keep husband-wife picture on north side in bed room. Weak Jupiter is responsible for widowhood in woman’s horoscope. While weak Venus is responsible for widowhood in man’s horoscope. It also occurs if inauspicious planets are in lagan or eighth house. Rahu and Mars play an important role in widowhood. In this case, one should take care while matching horoscope. Do remedies for inauspicious planets. Regularly worship lord Shiva after marriage. Regularly keep mango leaves on main gate of the home. Mars-Rahu, Mars-Shani or Mars-Sun creates violence in marriage. This dosh is very dangerous in manglik horoscope. Sometimes, husband or wife may become victim of accident. In this case, you can do Rudrabhishek. Regularly chant Namah Shivay psalm. Use less red and black color clothes. Jupiter is the master planet in nine planets. Jupiter gives auspicious and mercy to others planets. Jupiter plays an important role in marriage. 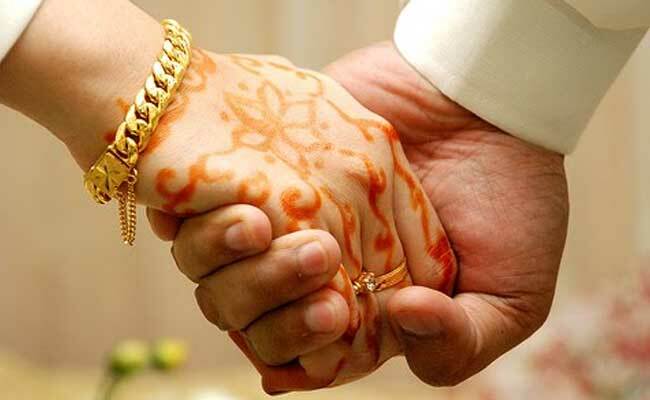 Jupiter is the main planet of woman’s marriage and marital life. It gives an idea about woman, who comes in man’s life. One cannot get happiness without Jupiter. Offer water, mixing turmeric, to the Sun. Chant Gayatri psalm for 108 times. Always eat pious food. Wear opal or yellow sapphire by consulting an astrologer. Worship lord Vishnu before going to bed.